Serving the Pennsylvania Grand Canyon since 1832! ​There is a long and interesting history to our main building. 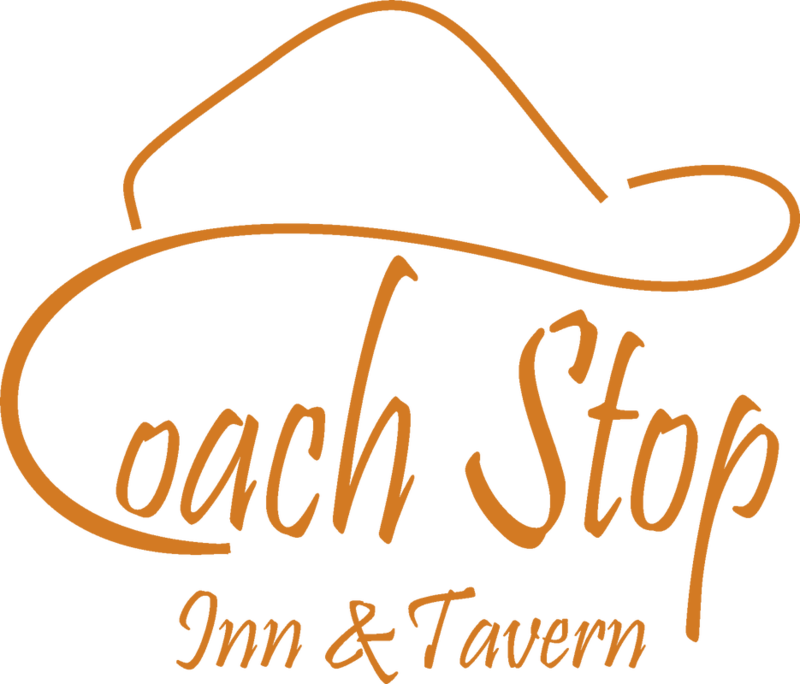 The Coach Stop has seen use as a Stage Coach Stop, Tavern, Inn, Post Office and private residence in its history. Travelers began arriving at our door in 1832. The original building has grown to include a Tavern, Dining Room and 10 Interior Corridor Guest Rooms, each with private baths. Enjoy your favorite meal or beverage outside with wonderful views of Herrington Hollow, Dry Hollow and the Mountains of Asaph! Traditional, pull your car right up to your room, motel building. All rooms have mini fridge, microwave and flat screen TV. New liner and looking good! We hope to have the wood fired heater in before Fall. Now Open!!! Our Stone Cabin has King Bed, Sofa Bed, Kitchen and Bath. 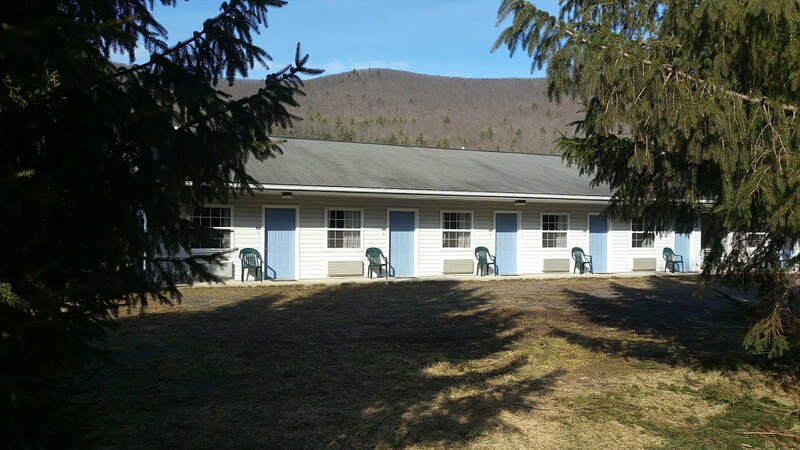 We are the closest place to stay and eat to the Darling Run and Marsh Creek access points of the Pine Creek Rail Trail, Ansonia/Big Meadow Canoe Launch, Colton Point State Park, Pine Creek Outfitters and the Pennsylvania Grand Canyon Snowmobile Club. The very best Hunting, Fishing, Hiking, Biking and Wildlife Viewing in the Commonwealth, maybe in the entire Northeast. Bear, deer, turkey, coyote and more can be seen frequently from our grounds. Walk to the Big Pine for world class trout fishing and floating. Please Note: We are not in the town of Wellsboro. We do have a Wellsboro address. We have no control over that. We are located in Ansonia, about 9 miles west of Wellsboro on Route 6. If you are looking to be close to the PA Grand Canyon and all of the outdoor activities that are afforded in the PA Wilds, this is the place for you! If you want a nice, clean, room at a reasonable price, this is the place for you. If you want an onsite tavern and restaurant with fine quality food and drink at a reasonable price, this is the place for you. If you want to stroll out the front door and partake in nicknack shopping this is not the place for you, unless you don't mind driving 10 minutes. If you would like to complain about the fact that we have a Wellsboro address, please take that up with the US Postal Service. Pet Policy: We have one, and only one, pet friendly room. Please call us directly to inquire about its availability. If you book through an online travel agency DO NOT BRING YOUR PET WITH YOU! You will not be permitted access to the room with a pet unless you have cleared it with us ahead of time. There is a $10/night pet fee if we are able to accommodate you.